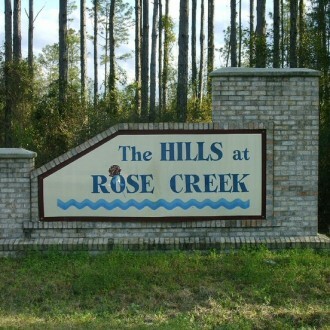 The homes in the Hills at Rose Creek Neighborhood are situated eight miles from Lake City Florida. If you’re not familiar with the area, it’s easiest to find by going to Tustenuggee Ave and SW Hill Creek Drive. Within the bounds of The Hills at Rose Creek is I-75. Prices for properties typically go from $260,000 to $350,000 and are between 3,200 and 4,000 square feet.